The largest clear-span wooden building in the world, constructed entirely without glue wood, was built as a U.S. military air station hangar. It is now the Tillamook Air Museum in Oregon. More info here and Wikipedia. 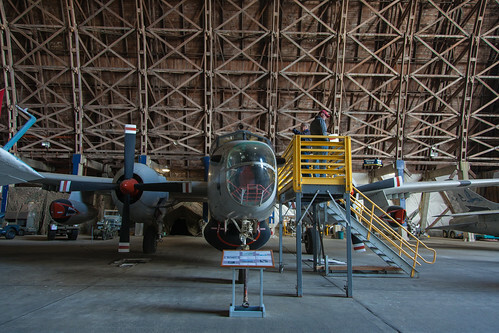 It’s nice to see communities saving these old military hangars. It is a tragedy that Vancouver lost its 5 vintage military hangars at Jericho Beach in Vancouver in the late 1970s. They were beautiful. 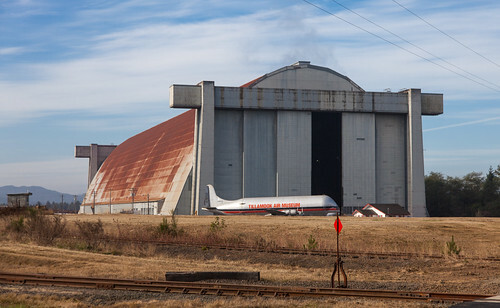 I heard about the Tillamook hangar from Vancouver architect Mark Osburn who was, incidentally, responsible for the interior refurbishment of one of the Jericho hangars for UN Habitat 1976. There’s been a lot of talk lately about wooden skyscrapers and large wooden buildings, as if it’s a new thing. 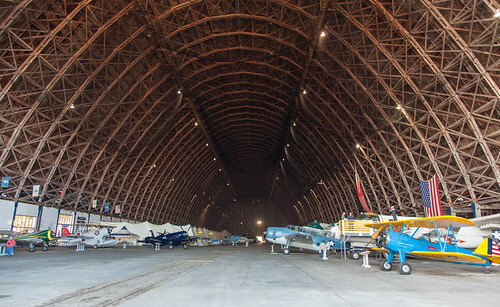 The architecture of this hangar is an unsung feat far preceding these newer, much-hyped ideas. 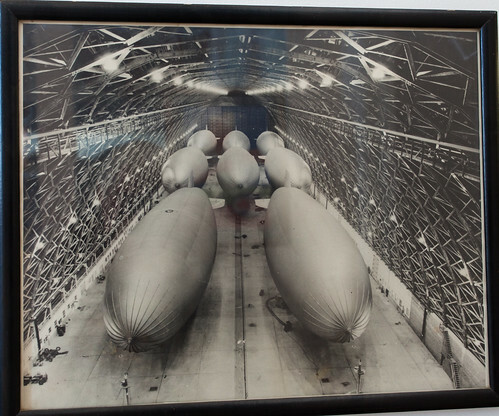 There are different criteria for ranking wooden buildings by size; as noted above the Tillamook hangar is the largest clear-span wooden building. It is not the tallest, and it may not be largest when measured by square footage of usable floor space. Wooden skyscrapers are planned for Austria and Norway and more recently one has been proposed by Vancouver’s Michael Green. And of course there was the Wood Innovation and Design Centre to be built in Prince George, British Columbia, meant to be the tallest wood building the world, but so far unbuilt due to monies promised by the BC gov’t but not budgeted for or delivered. Photos by hobbitcamera and Laurentiu Cristofor on Flickr and Mark Osburn. This entry was posted on Sunday, March 17th, 2013 at 4:31 pm	and is filed under architecture, design, favourite. You can follow any responses to this entry through the RSS 2.0 feed. You can leave a response, or trackback from your own site.